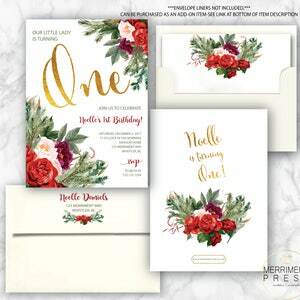 Merriment Press is a design and production company. 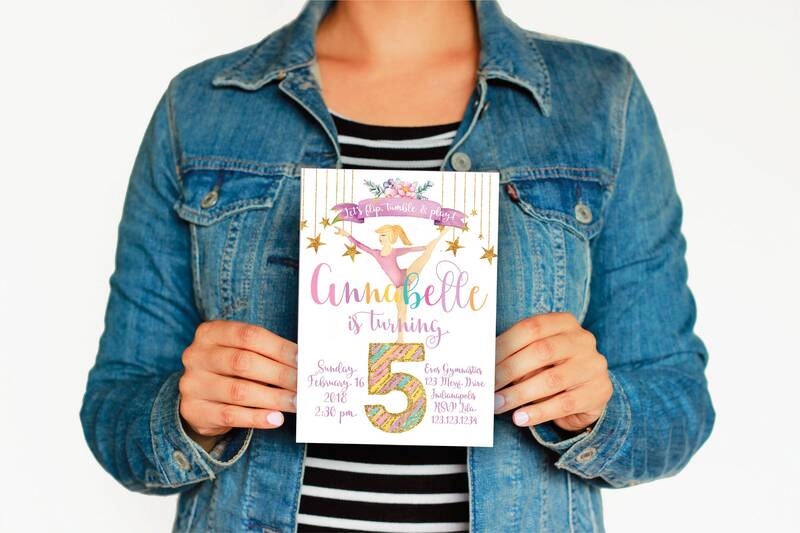 Our products are printed in house on a professional press for vivid colors. We take great pride is our original design work and customer service. All print orders come with white envelopes and includes free shipping. Within 24 hours from purchase, you will be contacted via convo with your proof. Don't forget to leave all your info to be typeset in the notes section when you are checking out! • White envelopes included with print orders. • FREE printed return address included with all print orders. • All text is customizable to suit your needs. • Shipping is always free in USA & Canada. 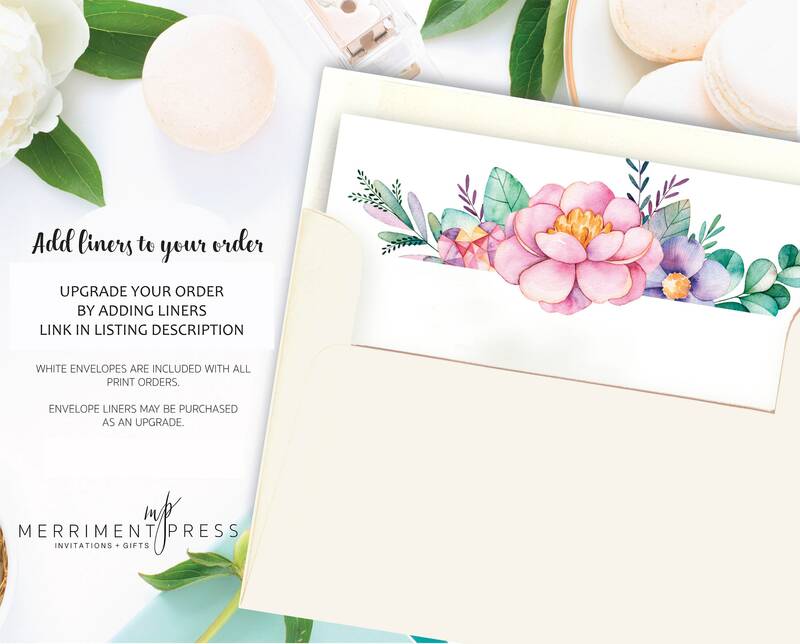 If you choose to purchase the printed sample of this design from the drop-down menu, you will receive and non-cutomized sample of each print type with corresponding envelopes. 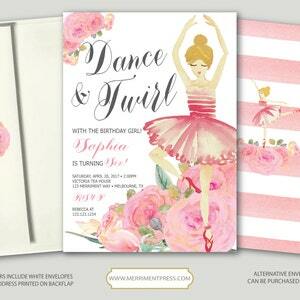 Our Economy invitations come printed on white 100lb, heavy cardstock with a smooth matte finish. 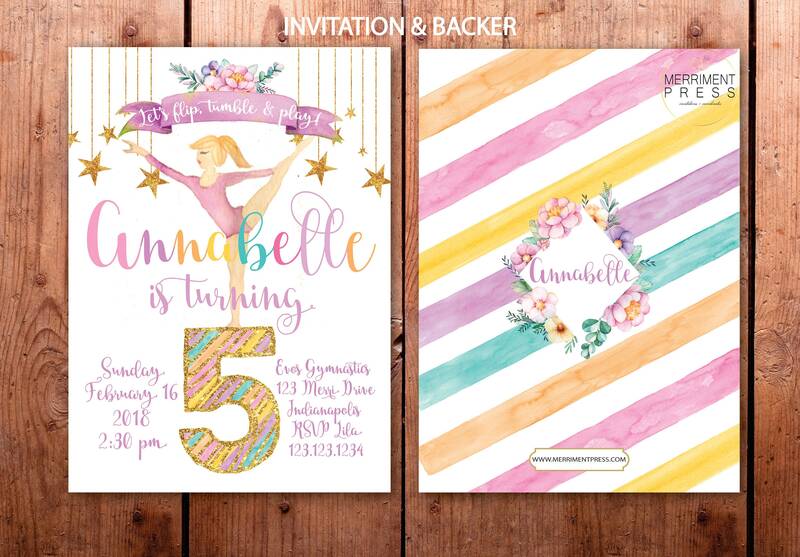 This print options includes FRONT ONLY of invitation, back of invitation will be blank. White, 70lb text weight envelopes are included. 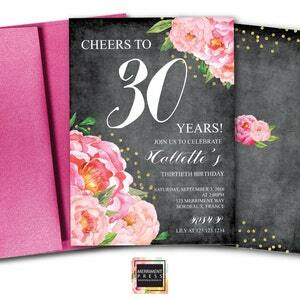 This print option provides a great alternative to printing at your local office supply, instead you get one stop design and professional printing at a great price without the work. 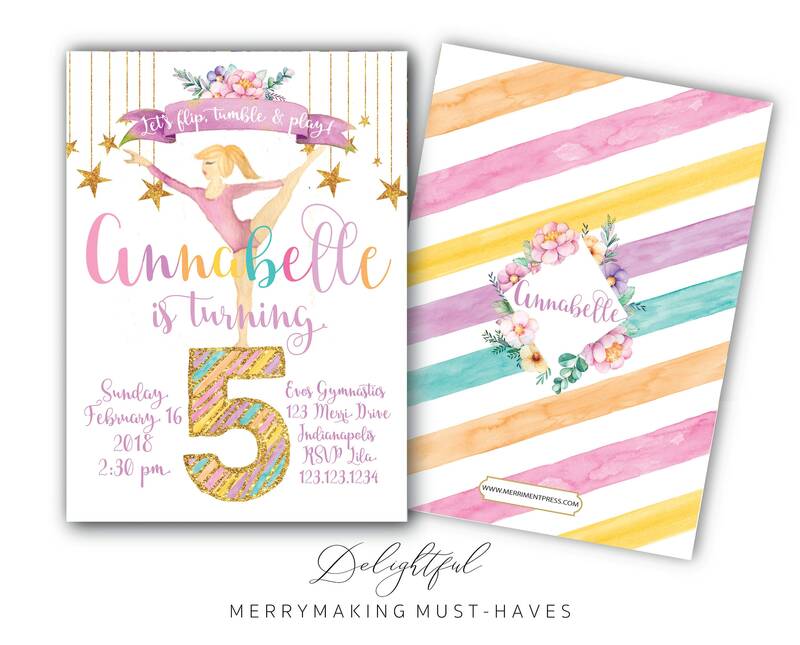 Our Signature invitations come printed on white 110lb, extra heavy cardstock, this stock has a smooth, matte finish which gives high quality, saturated colors. This option includes printed front, printed backer, and 80lb white envelopes. 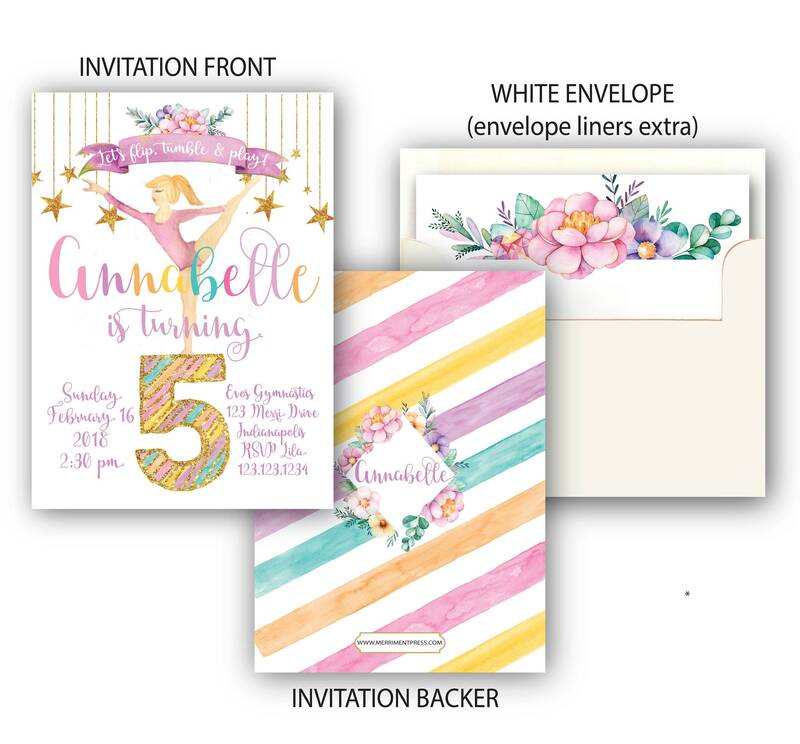 Our Premium invitations come printed on white 130lb extra heavy double thick cardstock, this stock is a premium paper usually reserved for fine stationary with a subtle eggshell finish. 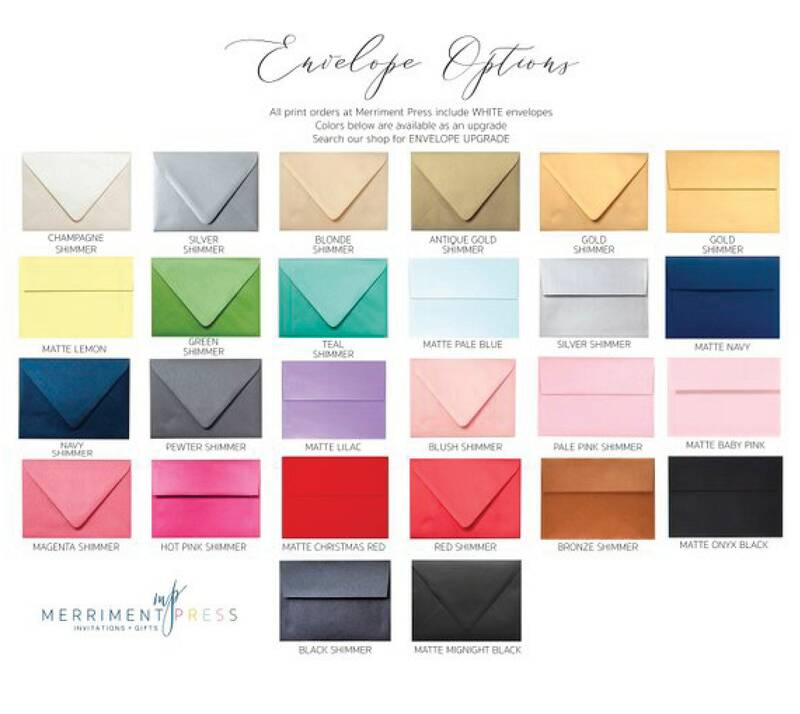 This option includes printed front, printed backer, white 80lb peel & press cotton envelopes. 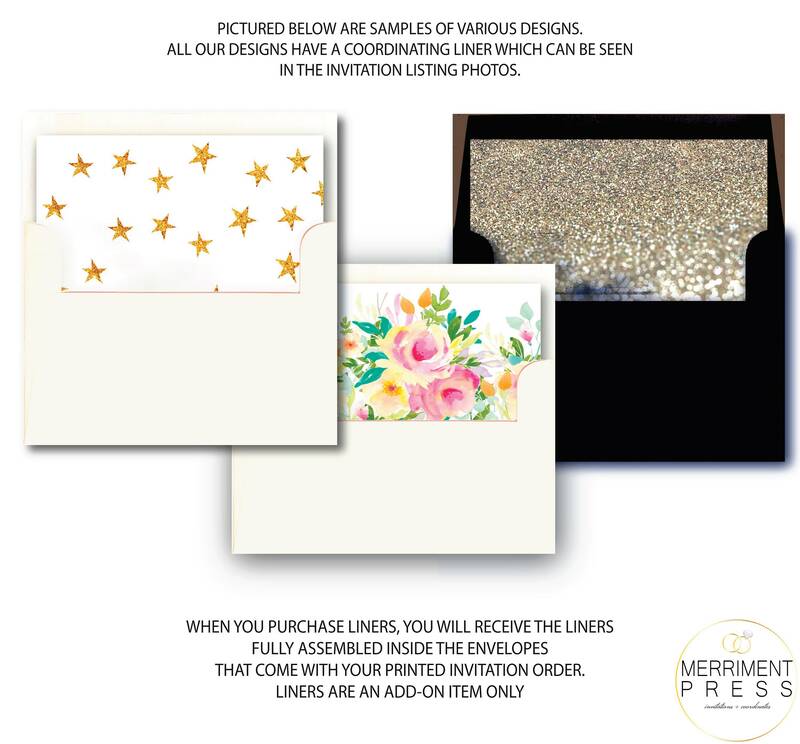 Our Shimmer invitations come printed on white 105lb heavy SHIMMER cardstock, which has a creamy white finish with a subtle shimmer/pearlescent effect that gives a beautiful glow to your printed invitations for a very elegant presentation. 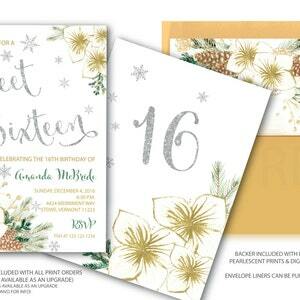 This option includes printed front, printed backer, 80lb creamy white shimmer envelopes that match the cardstock. 1. Choose Print type from the drop-down menu under "OPTIONS". 2. Leave all relevant invitation info in the PERSONALIZATION section. 3. Proofs will be sent to you via Etsy "convo" within our published turnaround time, (usually 1-2 business days). 4. Once proof is approved, we will start on production. • 1-2 BUSINESS days for proof. • May vary based on workload, check shop announcement for current time. 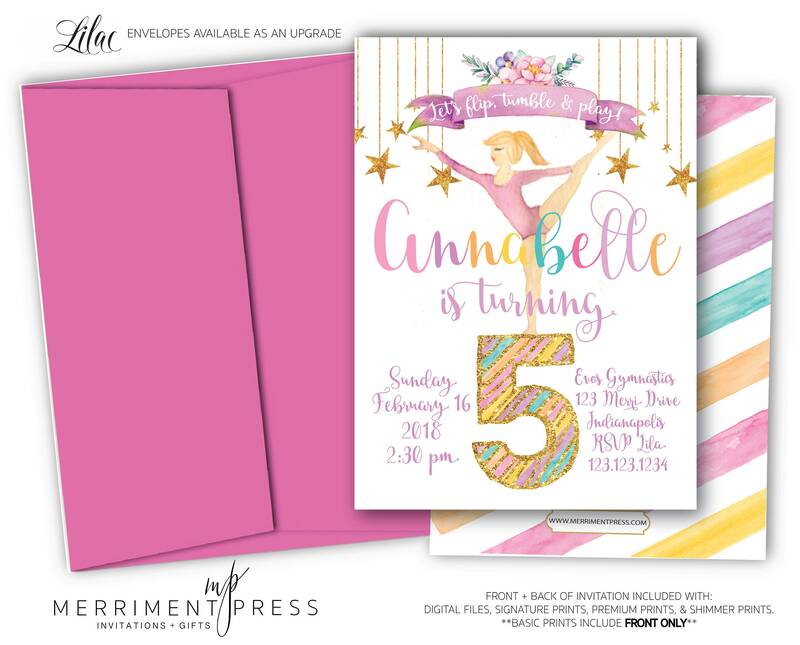 • For printed invitations, your order will ship within 2-3 days of proof approval. Search our shop using collection name. Or send us a convo if you don't see what you want! We can make just about anything to match. • Invitation orders ship FREE within the USA and to Canada. I have tried multiple times to contact this shop. My invitations FINALLY arrived after 2 weeks of waiting- which is ok- but there was no tracking number the entire time, and I was under the impression the back would also be pai- it was not. I have tried to contact the shop 6 times to add to my order- no luck. VERY UNIMPRESSED! Not worth the money.